HBO’s True Detective approaches existential questions of reality through lenses of structures of the human experience. So far in this blog series, perception and classification have been the main focus. Power, however, is a related concept, yet is also a performance of its own accord. Power can be situational or institutional, but it is always relational. In other words, power is exerted in a relationship. Power, certainly, is not static. Particularly in situational power relationships, power is continually bounced back and forth. This is a good thing, but it is something not really shown in True Detective. Take, for instance this encounter between Marty and a secretary in the Louisiana State Police Department. The woman Marty is interacting with is a secretary in his office. His relation of power to her in the institutional sense is that she is a subordinate in the work place. His situational relationship of power to her (perceived or otherwise) is because she is a woman and black. Marty performs dominance by making the secretary and everyone in the office aware that she is beneath him in his perceived hierarchy. Michel Foucault summarizes this concept of power in Power/Knowledge: Selected Interviews and Writings 1972-1977 by saying, “…in a society such as ours, but basically any society, there are manifold relations of power which permeate, characterize, and constitute the social body, and these relations of power cannot themselves be established, consolidated nor implemented without the production, accumulation, circulation, and functioning of a discourse.” This quote has a broad application to True Detective. These manifold relations of power include gender difference, religion, and race; all of which are particularly exhibited through Marty’s character. These relations also include Marty’s self perception of superiority in having a family, or rather, being a “family man” – as opposed to Rust’s singlehood. In the context of this show, the social body, which is permeated, characterized, and constituted by such relations of power, manifests itself in how each category of existence is perceived. That is to say, the classification of characters into particular categories, rather than their being presented as complete and complex individuals, is a product of these relations of power. Foucault tells us that none of this is possible without a particular discourse. In True Detective, the discourse itself obviously appears in verbal interactions between characters, but is much more prominent in all types of interactions and communication – each with its own particular discourse. For Marty, this discourse means performance of dominance and power – neither of which is static. He fits a multitude of stereotypes for other characters to contrast against. These stereotypes create a space for him to perform dominance and exert power in certain ways that he feels entitled to. He is white, middle-class, married, Southern, Christian, and male. He considers himself superior in each of these regards, and he leaves it out in the open. There are many illustrations of Marty’s openness about his sense of superiority. For example, when he discovers that Rust is not a Christian, Marty is shocked and questions him. While he never explicitly claims his superiority in this regard, it is clear he feels put off by anything different from himself. In another example, Marty’s relationship with Lisa (his mistress) is a mess of exerted power. He performs dominance even while in a drunken state, because he feels threatened by the idea of Lisa having any sort of relationship with another man. Of course, his relationship with his wife Maggie has many similar scenarios. The encounter between Marty and his secretary mentioned earlier illustrates his openness about his superiority. Marty, of course, is not the only character who has a sense of superiority or performs dominance. Every character has some sense of this and can become the dominant character in power relationships – of course, this means all relationships. Power and the performance of dominance are not necessarily bad things. While they can and regularly are used and abused, power is what keeps society moving. Without institutional relations of power nothing would ever be accomplished. Similarly, without situational relations of power, no one would ever be able to decide where to eat. 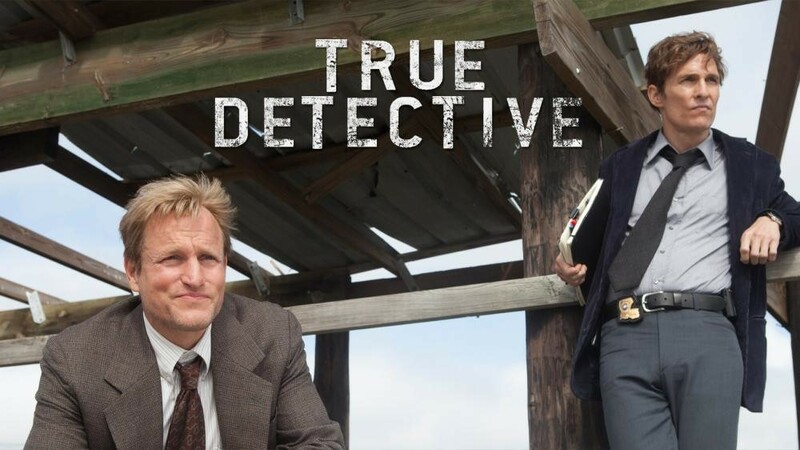 This entry was posted in Relevance of Humanities, Religion in Culture, Student Blog and tagged Classification, Marty Hart, Power, Rust Cohle, Sarah Griswold, Superiority, True Detective by admin. Bookmark the permalink.